Hotel Tim Bamboo is an economical hotel, located in the capital of the lush and beautiful parish of Portland called Port Antonio. Hotel Tim Bamboo is conveniently located near the town centre. 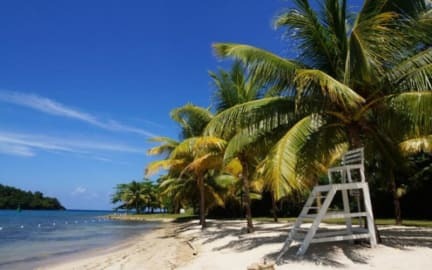 Nearby attractions such as Reach Falls, Somerset Falls, Frenchman's Cove Beach, San San Beach, Blue Lagoon, Boston Beach and Jerk Center, and Nanny Town are all within a fifteen minutes to a one hour drive. There are 26 rooms as well as two cottages available to fit your different needs. 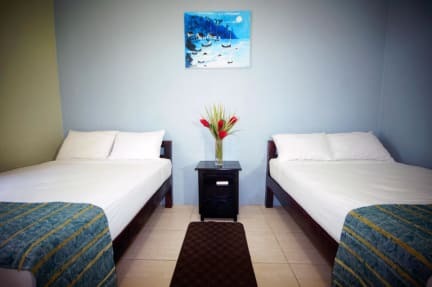 Our Deluxe and Economy rooms are ideal for budget travellers, backpackers, missionaries as well as any small or large groups that are on a small budget. We also offer facilities to host meetings, conferences, family reunions, parties, weddings etc. Meals are prepared on premises for your convenience and our exceptional staff make your stay a comfortable and a memorable one. Taxes not included - 10.00%. Reception opening times; 8am - 11pm.